Iphone 6 is always no service, Dial *#06# When there is out of service, Don't display IMEI Serial number. Have you ever met such problem before? Nowadays, People get information via service all the time, when your iphone always shows no service, that has no any value for you. First, Power on the phone, Checking “settings”→ “general” → “about phone. 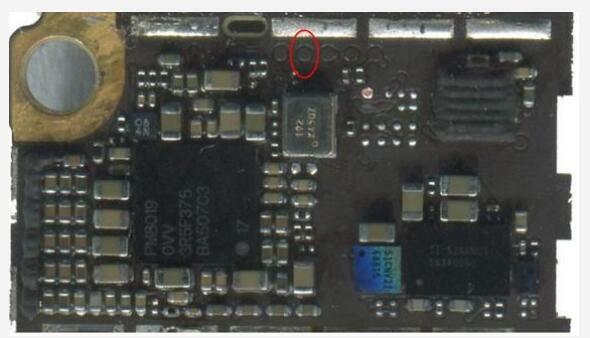 ”There is IMEi Serial number. but when you type *#06#, there don't display the Serial number. repeatly power on several times, sometime, when you dial *#06#, there is IMEI no. This kind of trouble is called *#06# no IMEI.this is caused by the problems of buses RFFE1 and RFFE2 buses of the baseband. The two sets of buses are used by the baseband CPU to manage the signals of the Individual chips. 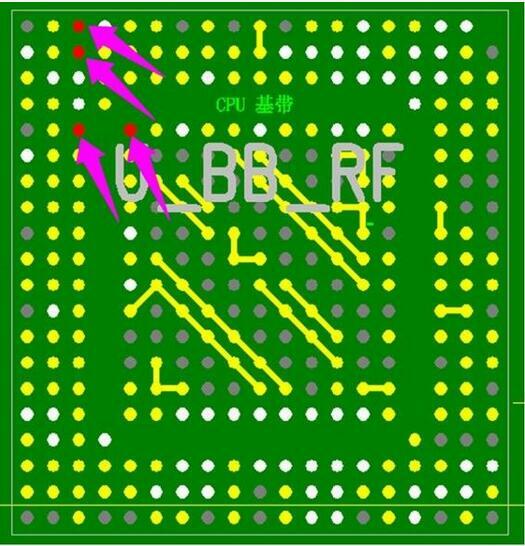 The position of the RFFE1 bus in wuxinji Five star Dongle bitmap is shown as foolows, and the position in the circuit diagram is as shown. This failure phenomenon occurs in a machine that has fallen, basically the data line of RFFE1_DATA in the figure is disconnected from the U1 pin. Remove the base tape directly after disassembling, from the U1 foot to the test point on the back. The location of the RFFE1_DATA physical test point is shown in the figure. Fly the line to the test point and apply the green oil and then attach the base tape. The flying method is as shown in the following two figures. 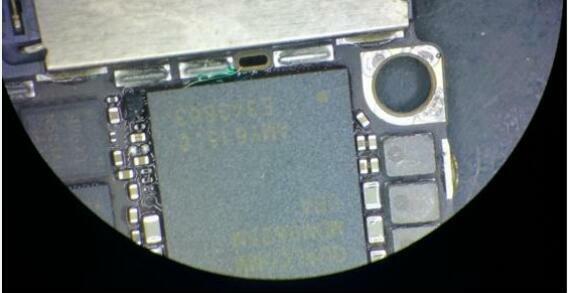 Put the motherboard on the assembly, re-start on your phone, "NO service" fault doesn't appear any more. all problem fixing well.